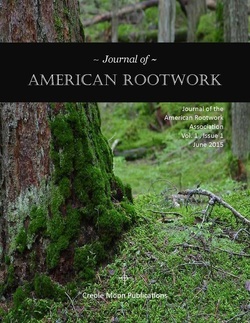 The Journal of American Rootwork is calling for academic proposals. The Journal of American Rootwork examines folk traditions of the American South commonly referred to as hoodoo, conjure and rootwork. This includes (but is not limited to): Folk Traditions of African-American Slave Religions; Folk Healers and Granny Medicine; Healing and Ritual Traditions of Indigenous Peoples in the Americas (Post-European Colonization); Esoteric Religious Traditions and Practices of the Americas; Folk Traditions and the Folk Healing Practices of the antebellum American South. Abstract proposals are accepted in the academic fields of the Social Sciences, Folklore, Humanities, and the Fine Arts. Abstract Proposals must be 150-200 words containing a statement of objectives, research methods and proposed approach, and a statement of the focus of your journal article. Only five journal articles will be chosen for each publication. If your proposal is chosen by the academic committee, it will be published in the next scheduled publication. All proposals and articles must be submitted electronically in word document format using the submission form below. Because the American Rootwork Association has a clear mission to promote the serious, interdisciplinary study of folk traditions of the American South by academics and independent researchers, all of the articles we publish go through a peer review process. Articles go out for external review to two anonymous referees. In addition, we have a policy of exclusive review during the manuscript stage. Articles should not be submitted to other publishers for simultaneous review. All articles should be original research that has not been previously published. Authors submitting manuscripts on health research are encouraged to follow the appropriate reporting guidelines as stated by the Equator-Network in preparing their manuscripts. Authors should endeavor to address all items recommended by our guidelines (as a minimum). Adherence to recommended guidelines will increase the probability of manuscripts to be accepted for publication. Questions? Contact JAR Associate Editor Edward Sakowitcz at edwardfsakowicz(at)hotmail.com.